Elisabeth and Randy celebrated their wedding in Banff at The Fairmont Banff Springs Hotel and I have to say “did they ever”. WOW, what a truly magical wedding. So much fun, laugher, love and many hugs despite the blustery winter weather. Full stop, winter weddings are fabulous. Banff, Alberta is in the heart of The Rockies and is absolutely amazing but you have to know ahead of time The Canadian Rockies can be cold. This did not stop Elisabeth & Randy or their family and friends, at all. They were total rock stars and went full out all day and fully embraced The Canadian Rockies Winter Wonderland. A gorgeous couple, a spectacular venue and lots of love is all that is needed to create the best of wedding days. As with every bride and groom on their wedding day, the excitement a wedding day brings, starts the moment I wake up. I take great pride in getting to know my clients ahead of time so I feel like I am shooting my friends wedding day. And these friends were ready to let me go wild with my art. I’m not your standard photographer and I’m not worried ever about the weather nor time of day it is. If it’s dark or the venue has no light or even if the sun goes down early, it doesn’t bother me. I’m good to go 24/7. Bring on the harsh conditions as I find things can often step up a few gears when things are different. When the sun goes down at 4:30pm I bring on board a different flare of evening lighting. I fully embrace the low lighting at receptions as I wish not ruin the stunning ambiance or atmosphere that wedding planners or clients have worked so hard in creating for such a special day. I aim to compliment Julianne Young Weddings hard work (shown below) at this Banff Springs Wedding and the lead up to this wedding day. As always, Julianne Young Weddings team were incredible; the day flowed flawlessly and her team was on top form. Thank you Julianne, Aimsley and Teal for a great day. With low cloud, high winds, blowing snow, sub temperatures I knew safety was of top priority when we ventured outside. I was very excited with these hurdles as it challenges me to push the boundaries with my photography. I constantly provide pointers, guidance and direction to my clients allowing me to achieve great shots quickly. When the weather is harsh with horizontal snow natural love hugs were in constant supply. Quite often I have to help with hugs but not today, Elisabeth and Randy were hugaholics which was AWESOME. Over the years my clients have varied from super quiet to incredibly outgoing, or even deaf or blind. My approach is always the same. I sincerely care about all clients and my first and only aim is to create beautiful photographs that you will always treasure. A warm winter hug and cold winter day in Banff National Park. A gorgeous moment at the Banff Springs Hotel. I rarely post a photo of this hallway by itself but the Fairmont Banff Springs Hotel decorated it incredibly well with Christmas festivities. The light in this hallway is dim but with the magic of Christmas and MagMod light shaping tools, this photograph came to life. Details in Elisabeth’s hair as she prepares for her dream day. An exciting passage that has taken shape over the past few years is a mini wedding boudoir session. White and Black wedding dress. The concept was to compliment the snow. Having a pure white dress in the winter months can often lead to lack of contrast. Not today! Her veil, shoes, garter, wedding rings and engagement ring; something old, blue and borrowed. I believe in detail and go out of my way when photographing the bride and groom getting ready. Such moments are timeless and will last generations. Elisabeth’s mom helping her daughter put on her necklace. Gorgeous natural light shining through the window allows for a stunning moment. Look carefully at Randy’s cufflinks. Very Unique! Randy and his brother embracing the moment. Flower girls walking down the aisle lightly tossing flowers for the bride and her father. Oh my word, these guys and girls were hilarious to be around. So much fun! Gorgeous colour, and a fabulous group of ladies. Randy and Elisabeth in no rush to head back inside!… lol. Randy helping Elisabeth as we ventured up the hill. Elisabeth was still full of love and happiness. The Banff Springs Hotel. Need I say more? Lets go warm up Elisabeth. We’re off to The Banff Springs to Party! Can you feel the love of these two? I have photographed in this area a ton but I’m always seeking different angles. Exploring the mind and creativity within can often take you different places. Game time, Elisabeth was thinking hard about her answer! bringing the Fairmont Banff Springs Hotel Mount Stephen Hall to life. This first dance that I won’t forget for a while. Party time at the Fairmont Banff Springs Hotel. Randy and Elisabeth really got the party started and it ignited a passion for dance by all. Lots of gorgeous colours and giggles were had here! A fabulous way to end the perfect day. Honestly, there was much LOVE today. Congratulation Elisabeth and Randy. You are amazing. Thanks Sean :) So appreciate the love. 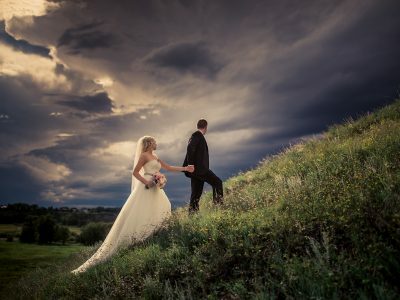 OMG these photos are stunning as was the bride and groom and their wedding party! Was so happy I was there to share that special day with my best friend and her silly loving family.